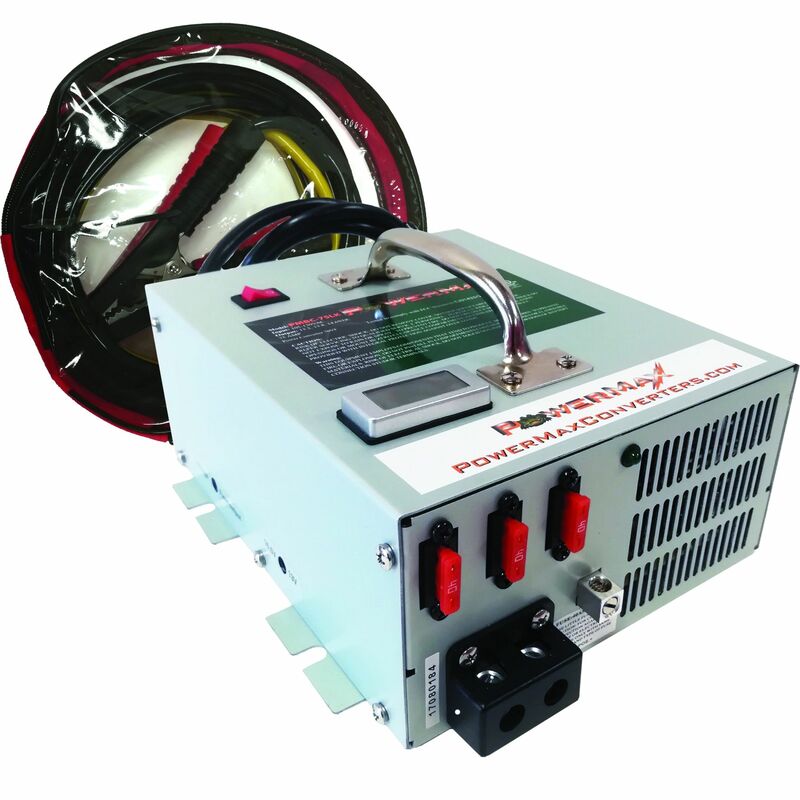 The PowerMax PMBC-55LK charger/converter has a fully integrated 3-stage microprocessor controller along with its highly controlled power supply output. The LK Series features a selector between 3-Stage Smart charging or Fixed Output Mode*. A key feature to the PMBC Series charger is being able to provide clean constant fixed output power to a vehicle during reprogramming and diagnostic servicing. Using only the best in manufacturing technology, Power Max has designed and built a powerhouse charger/converter. Capable of provinding a constant load demand of up to 100% of its rated capacity, the PMBC series converters are among the best. Pumps, fans, motors, and radio equipment will run with no problems on the PMBC converter/charger. *The Fixed Output Mode does not offer smart charging and simply outputs at the fixed voltage. Users are highly recommended to use the 3-Stage charging mode to safely charge a battery. Adjustable Voltage Dial - Output Voltage can be set between 13 VDC – 16.5 VDC to meet most vehicle battery requirements including most Lithium. Do you own the PMBC-55LK? Please, tell us what you think about it. It helps us provide you with better products. Please note that it may take up to 72 hours for your review to appear.